I had a great uncle who used to say that the mental hospital was built in Dundrum because it was where the mountain air met the sea air resulting in insanity. I left the shop early today with 2 bottles of Brugse Zot and headed home to watch the final farewell to my first crush, my first album, my first concert and the musical genius - Michael Jackson. 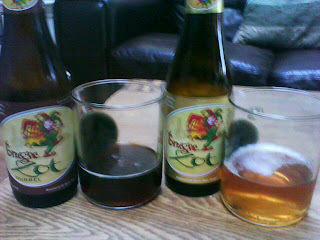 I was totally unaware of where the name Brugse Zot originated from until I did a bit of beer exploration. All of the above are linked. In the 15th century, the Emperor Maximilion of Austria was staying in Bruges to watch the yearly Holy Blood Procession. The day after the event the people of Bruges approached the Emperor about sponsoring the creation of a Fools House, a.k.a a mental institute. In the early 16th century the institute was created. The link between the brewery and the institute is that the head of the institute Cannon Maes gave money to his relative Leon Maes to install a new brewery on the premises. This was the year the Maes took over the brewery 'Halve Maan' and the 1st big customer was the mental institute. According to Uncle Joe, Dundrum was the prime position for a mental asylum- we built our shop close by, I purchased beer produced on the premises of a mental hospital in Bruges and took it home to say goodbye to a man who spent the last 20yrs sleeping in an oxygen chamber, who's soul mate was a chimp called Bubbles - weird eh!!! 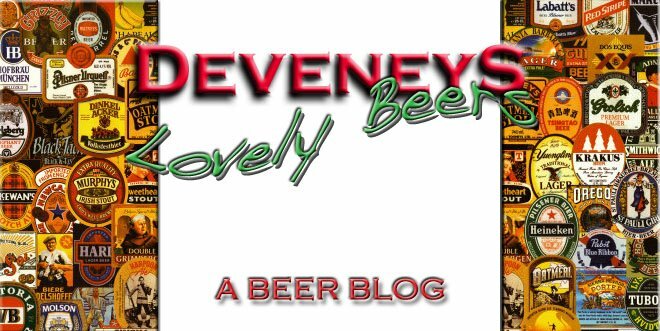 For all those who are serious fans of Wacko Jacko and a good Belgian beer who also reside in Dundrum, this is one for you and me as it transpires!! Brugse Zot ( Bruge Fool ) Blonde, 6% : this is a hazy blonde delicious and easy drinking beer. A bready minerally nose but the palate is smooth and creamy with toffee, apple and loads of citrus fruits and a long crisp finish. Great Beer for a little cry and a sing-a-long to 'Man in the Mirror'.